Medium to large evergreen with lanceolate dark green leaves about 15cm long. 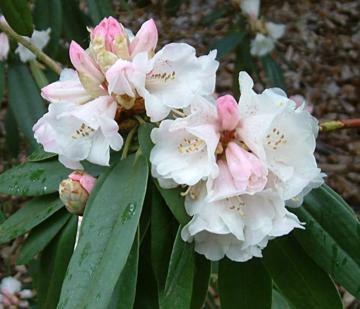 Beautiful large trusses of bell-shaped, pink flushed, white flowers with red spots, from March to May. Introduced from Taiwan by Ernest Wilson in 1918.